Donegal Generations is an entertaining piece of historical fiction that follows various men as they describe their lives in rural Ireland during the 1700s and 1800s. Encompassing a lighthearted attitude, this gripping novel crafts captivating stories that hook readers from the very beginning. Offering engaging stories on family, courtship, and adversity that are impossible to put down, this wonderful novel is a unique glimpse into life in rural Ireland in the eighteenth and nineteenth centuries. Through three successive generations of Irish families, three men will discuss their lives, childhood, religion, superstitions, and courtships in eighteenth and nineteenth century Ireland. Each man documents his struggle with the land, landlords, and an oppressive government. Each also encounters a mysterious woman who inhabits a hidden spring. Their stories offer a glimpse into life during these times. Patrick must overcome a rival suitor for his intended bride. Later, he does his best to control a secret society formed by his neighbors that threatens and terrorizes their tyrannical landlord. His son, James, is involved in plotting the murder of a man suspected of killing a loved one. James’s journey will take him down a spiritual path as he tries to provide for his family. Finally, Charles’s story finds a man working to overcome alcoholism and the great potato famine before immigrating to America to find work in the textile industry. Using subsequent generations of Irish men to tell touching stories that are unique to the times, this one-of-a-kind book takes readers on an exciting journey through a difficult time in Irish history. 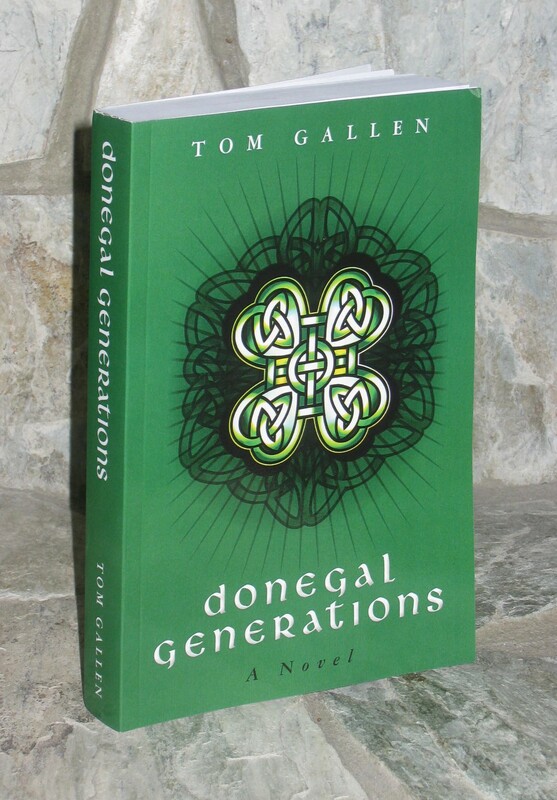 Inspired by his own genealogical research, author Tom Gallen decided to use this newfound information to craft a story about how his ancestors lived before and during the great potato famine. Using the history of the locales in the novel, Gallen incorporated his findings into Ireland’s rich backstory to create a truly fulfilling and entertaining work of historical fiction. 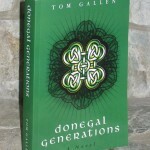 Uniquely using the personal perspective of the eighteenth and nineteenth centuries in a present tense and first-person style, Donegal Generations is an approachable and mesmerizing work of fiction that will stay with readers long after they’ve finished the final page. In Europe, it can be purchased from Amazon UK at Donegal Generations at Amazon- United Kingdom Also, payment can be made in euros at the Amazon online bookstores in France, Italy, Germany, and Spain (for example: amazon.fr). Libraries can obtain the book at discounted prices from Baker and Taylor; Bookshops can get the book from Ingram Book Distributors.